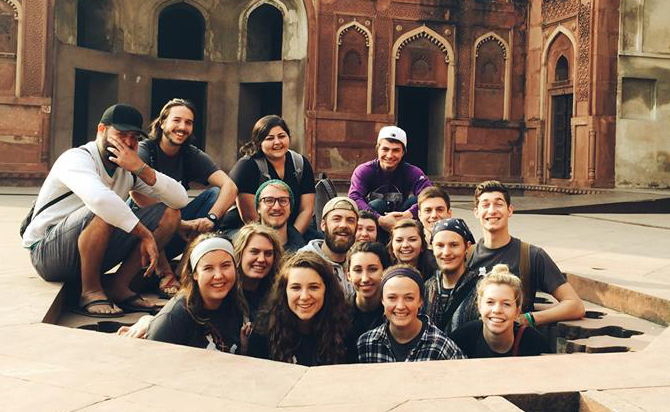 This J-Term the India Team went to the Home of Love, a girl's orphanage, where their views of what it means to love were forever changed. First, we would like to start by saying thank you to anyone who contributed funds and prayers for our trip. India was incredible and life changing in more ways than we can articulate. One of our favorite organizations to work with was the Home of Love (HOL), an all-girls orphanage. Most of us would agree that our intentions in going to the HOL was to show love to these poor orphan girls. We were going to give so much of ourselves to them. We were going to teach them what it means to be Christ-like, and we were going to tell them who they are in Christ. God wrecked those plans, and He wrecked them fast. In actuality, the girls taught us so much more than we could ever teach them. The girls at HOL demonstrated and lived out what it looks like to love without the existence of fear, or to “love like we’re not scared.” We can’t explain how exactly they taught us such significant things about love — they just did. The girls loved in big and small ways. They wouldn’t let us sit on the floor without a mat, they would wipe sweat off our faces with their scarves, and they were constantly holding onto us. They just wanted to love us. These girls knew nothing about us, they knew we weren’t going to be there forever, yet they didn’t let fear get in the way of loving us so well. HOL taught us how to be better at loving others and how to be better at receiving and accepting love. Throughout our days, our thoughts are consumed with our girls. We find ourselves praying for them constantly, wondering whether or not they miss us. The tears kick in randomly; we hear a song from our VBS and the floodgates happen because those songs mean so much to us, simply because of the beautiful smiles, laughs and memories behind them. Our hearts ache because we don’t know if or when we’ll see them again on Earth. Not only did we bring back all of our memories with us, but we left a part of us with them, and not only did we leave a part of us with them, but we left the changed us with them, and we would give anything to be back in the place that changed us.